1. 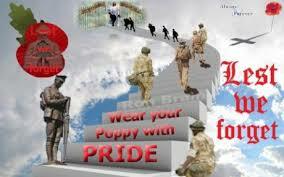 On November 11, many people wear a red poppy in memory of the war veterans and victims. It was at 11 o'clock on the 11th day of the 11th month in 1918 that the Armistice was signed signaling the end of World War I. 2. At that point the guns stopped after 4 years of war. 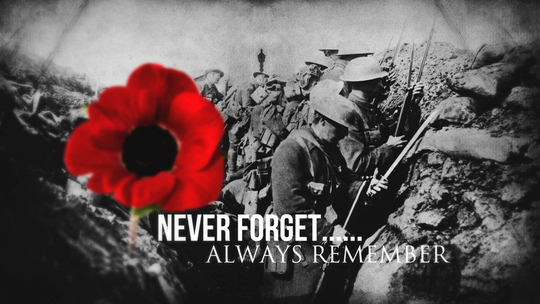 3.Remembrance Day was instituted by King George the V in 1919 and is celebrated in Commonwealth countries. In the USA it is celebrated as Veteran's Day. 4.The red from the Poppy flower, which grew over several battlefields, sybolized the blood shed by the troops. Let us pray for these victims and all victims of war. May we learn to live in peace with one another and with God.